HomeThe U.S. Postal Services unveils its Informed Delivery notification service – about two decades too late. The U.S. 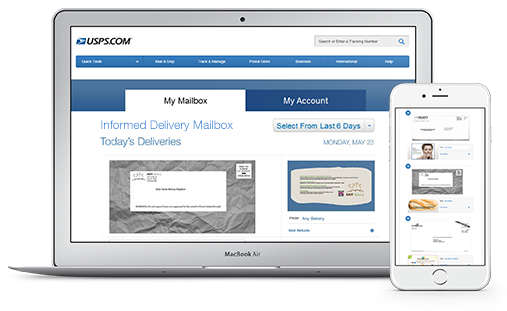 Postal Services unveils its Informed Delivery notification service – about two decades too late. Earlier this year, the U.S. Postal Service decided to get into the business of e-mail. But the effort is seemingly a day late and a dollar short. Here’s how the scheme works: Via sending an e-mail with scanned images, the USPS will notify a customer of the postal mail that will be delivered that day. It’s called Informed Delivery, and it’s being offered as a free service. Exactly what is this intended to accomplish? It isn’t as if receiving an e-mail notification of postal mail that’s going to be delivered within hours is particularly valuable. If the information were that time-sensitive, why not receive the actual original item via e-mail to begin with? That would have saved the sender 49 cents on the front end as well. So the notion that this service would somehow stem the tide of mass migration to e-mail communications seems pretty far-fetched. And here’s another thing: The USPS is offering the service free of charge – so it isn’t even going to reap any monetary income to recoup the cost of running the program. That doesn’t seem to make very good business sense for an organization that’s already flooded with red ink. Actually, I can think of one constituency that might benefit from Informed Delivery – rural residents who aren’t on regular delivery routes and who must travel a distance to pick up their mail at a post office. For those customers, I can see how they might choose to forgo a trip to town if the day’s mail isn’t anything to write home about — if you’ll pardon the expression. But what portion of the population is made up of people like that? I’m not sure, but it’s likely far fewer than 5%. And because the USPS is a quasi-governmental entity, it’s compelled to offer the same services to everyone. So even the notion of offering Informed Delivery as “niche product” to just certain people isn’t relevant. I guess the USPS deserves fair dues just for trying to come up with new ways to be relevant in the changing communications world. But it’s very difficult to come up with anything worthwhile when the entire foundation of the USPS’s mission has so been eroded over the past generation. ← Suddenly, smartphones are looking like a mature market. Fifty years ago, I was heading out the door for a date when a letter arrived from my girlfriend, cancelling it. An email would have been extremely useful. But this was 1967. She was in college and didn’t have a phone. We wrote letters and hoped they arrived in time. This new USPS email service showing me her envelope about to arrive would still fail to do anything useful — I wouldn’t know what was in it! I can only imagine this service being useful in one way: it can tell you what ISN’T arriving in the mail. But that’s not so important to know any more. Checks in envelopes are fewer and fewer each year, I would think. And we track packages online, after all. A bizarre service — here’s a picture of your envelope! Umm … FedEx offers a very similar service, also for free. Go to fedex.com, press the “Track a Shipment” link, enter the waybill number you want to track and then click the Request Notifications button. Here you can choose to notify on one or more of the following events: current status change, Fedex receipt of package, delivery exception, estimated delivery and completion of delivery. You can also identify one or more email recipients as well as your own name and email address, language in which the notification is to be sent and an optional personal message. Of course these notifications don’t reveal what’s in the package. If it’s just a letter (yes, FedEx ships letters too) then that letter might just as easily have been sent by email – and far more cheaply. After all, FedEx is a lot more expensive than USPS. But email isn’t good enough sometimes, particularly when you are sending original documents (checks, contracts, corporate documents, etc.) that require wet ink signatures. These types of shipments are important enough that a great many customers might want to know the current status in real time – something the USPS can’t do at all right now. I think this new service might benefit the USPS by capturing customers who now use FedEx, precisely because USPS currently doesn’t offer this service. Switching to USPS would save the customers a lot of money, and bring new revenue to the USPS. Marginal costs wouldn’t rise too much, either, because the entire process is automated.